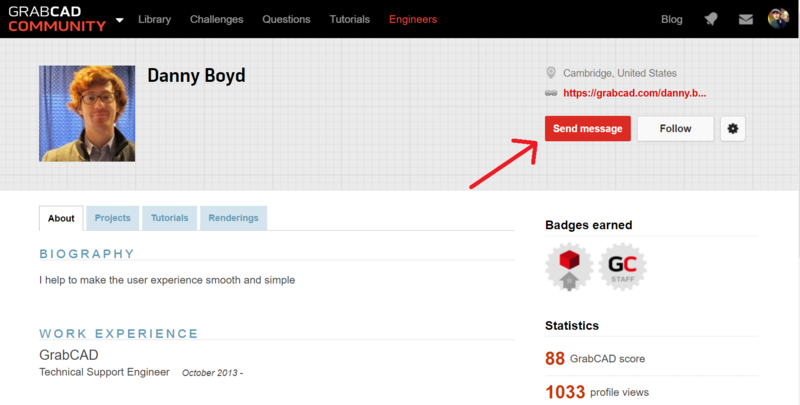 How can you contact another member on GrabCAD? Sometimes you may want to ask another member about a model of theirs, get details on a tutorial, or just ask a member a general question. One way to do this is to leave a comment. But if you want your communication to be private, you can also send them a private message. Go to another member's profile by clicking their name on a model page, or search for them on the Engineers page. Click the red 'Send message' button in the top, right corner of their profile page . You will then get a notification or email when they respond, based on your email settings. How do you visit the profile of someone who sent you a private message? When someone sends you a message, it is a good idea to view their profile to learn more about them. To do so, just click on their name and you will be taken you to their 'About' tab of their profile. 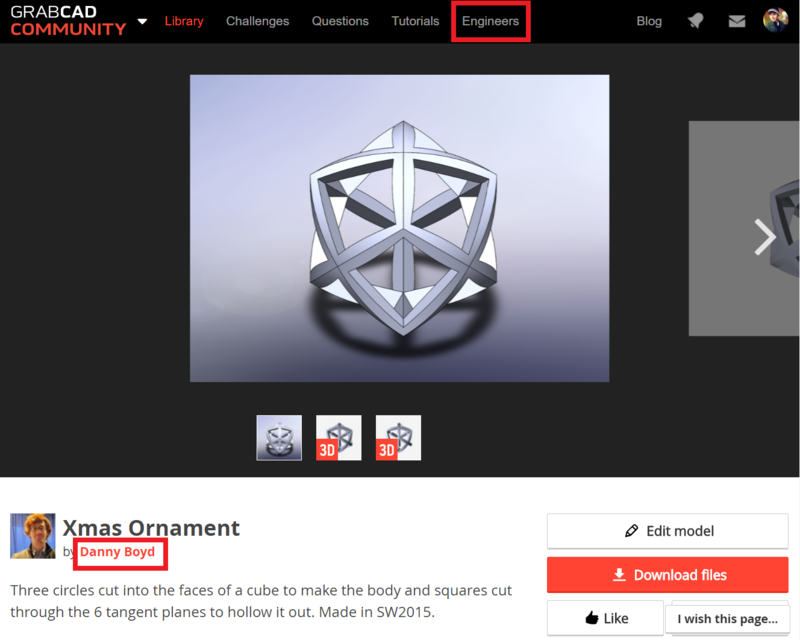 Select the other tabs to see their Models, Tutorials, and Renderings. How do you check notifications? By default, GrabCAD users also receive an email for every one of these notifications. If, at any time, you wish to adjust this, head over to your email notification settings page.